I’ll be on hiatus for one week! Thank you to all of my wonderful subscribers. I will be on a hiatus for the week of July 6-12 as I attend an NEH Summer Seminar for Teachers in Chicago, Illinois. I’m so excited for this amazing opportunity and will be sure to share what I have learned upon my return. 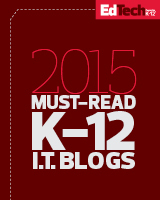 This entry was posted in Education on July 6, 2014 by Jennifer Carey.